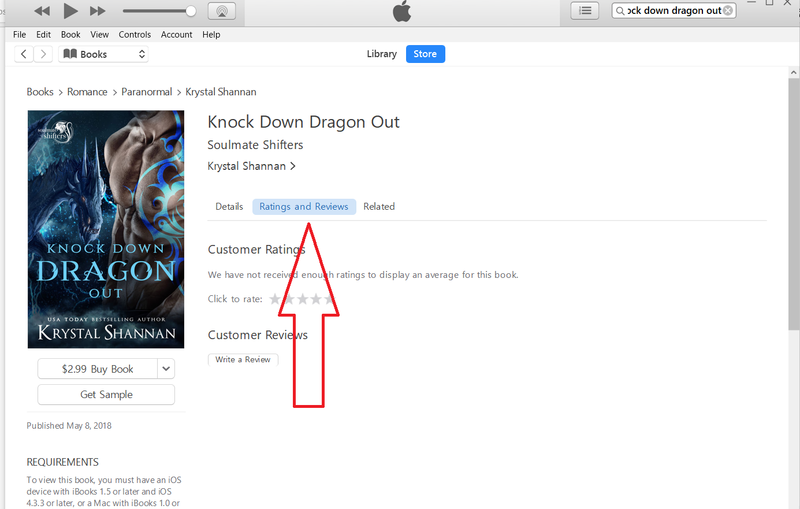 **You do not need to purchase the item on iBooks/iTunes to leave a review. 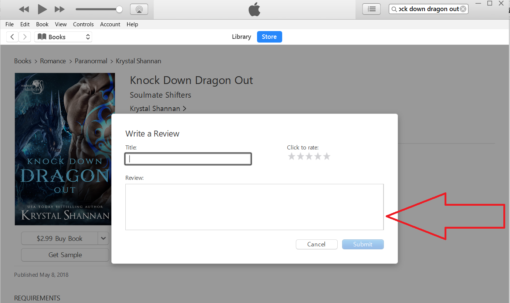 If you do not have a Mac device, you can download the iTunes Desktop App to post reviews. 1) Open up the iTunes Store. 2) In the search box, type in the name of the book you'd like to review. 3) Click on the correct item in the search results to be taken to its iTunes page. 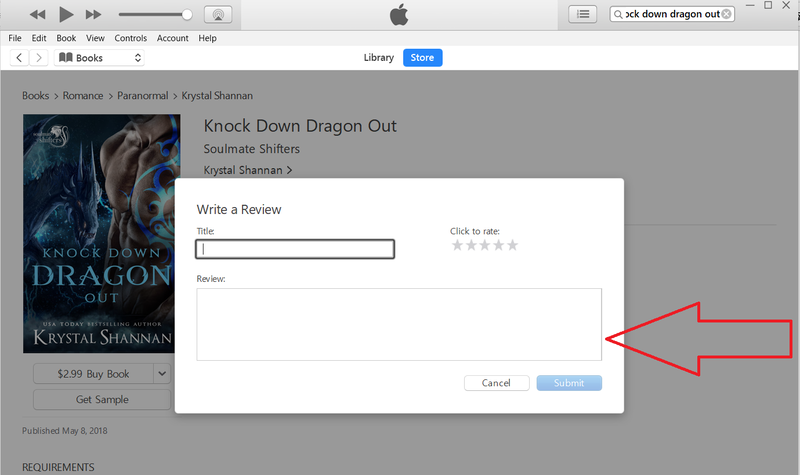 4) On the item's iTunes page, choose “Ratings and Reviews” from the top navigation. 5) Click the button, “Write a Review.” A pop-up window will appear. 7) To document your review, capture a screenshot by clicking the PrtScrn button on your keyboard. For Macs, press Shift-Command (⌘)-3. Need more help? Watch this video.